August 18, 2016 – WASHINGTON, DC – Greenpeace is preparing to released yet another fund raising campaign and this time it will rank foodservice companies. The list will undoubtedly follow the tiresome model Greenpeace has used for years: rank companies based on a system for which the scoring methodology is totally subjective and hidden, then promote those rankings in the media—rank’n’spank. To be clear this has nothing to do with seafood sustainably. It has everything to do with Greenpeace demanding all companies acquiesce to its view of sustainability. Non-scientific, non-transparent and completely biased classifications continue to be the weapon of choice for Greenpeace as it launches yet another public relations campaign. Other annual rank’n’spank campaigns have been largely dismissed as ineffective sideshows, with a real target audience of donors and institutional Greenpeace supporters not consumers. Foodservice companies are among the most dedicated to seafood sustainability and full supply chain sustainability. 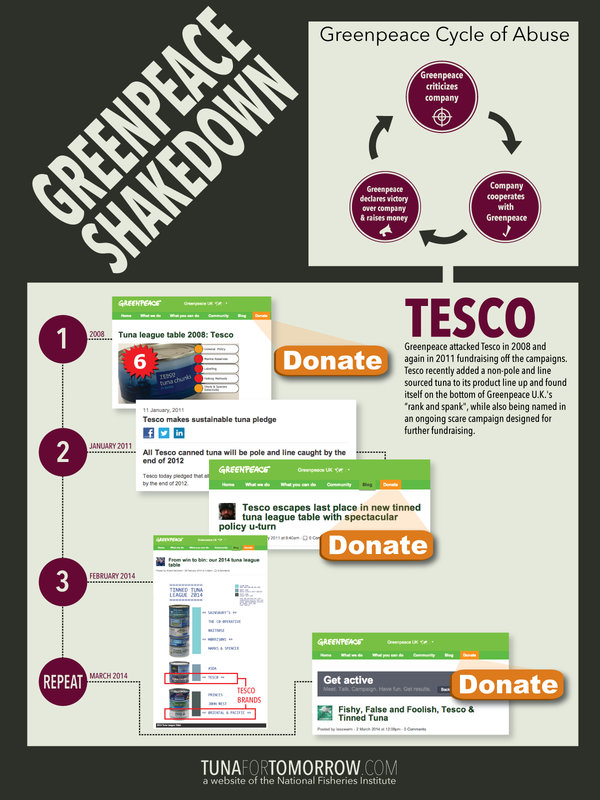 To target them, rather than laud them illustrates how out of touch Greenpeace is with real sustainability efforts. While the group demands all seafood purchasing decisions be made based on Greenpeace’s arbitrary red list, foodservice providers work hard to ensure they understand the sustainability story of each species and the efforts underway to maintain those stocks. No credible expert in seafood sustainability would endorse a single one-size-fits-all list or approach. Greenpeace does. Not surprisingly the only acceptable list, according to Greenpeace, is the list generated by Greenpeace. Greenpeace’s noise detracts from real sustainability efforts and from the focus that foodservice companies put on this important issue. The media is advised to research Greenpeace’s strategy and push for scrutiny of its unpublished methodology. Further it’s urged to recognize the timing of Greenpeace’s fundraising pitches and the release of such rankings. Greenpeace is a multinational fundraising behemoth with a $300-million a year operating budget.